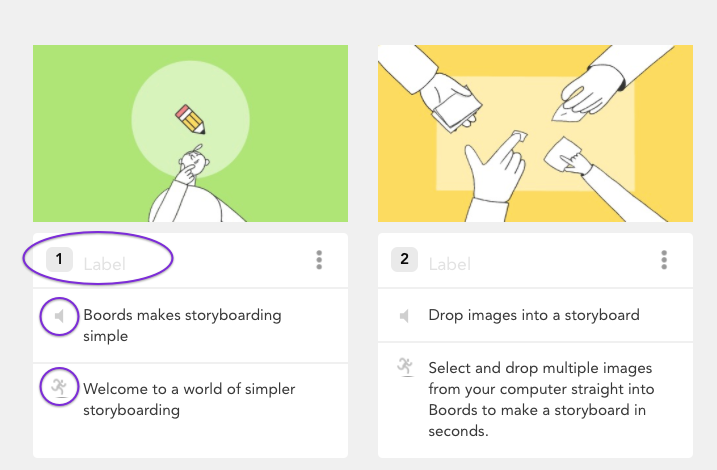 Each frame has a label, a sound & an action field, which you can edit in the Storyboard View. 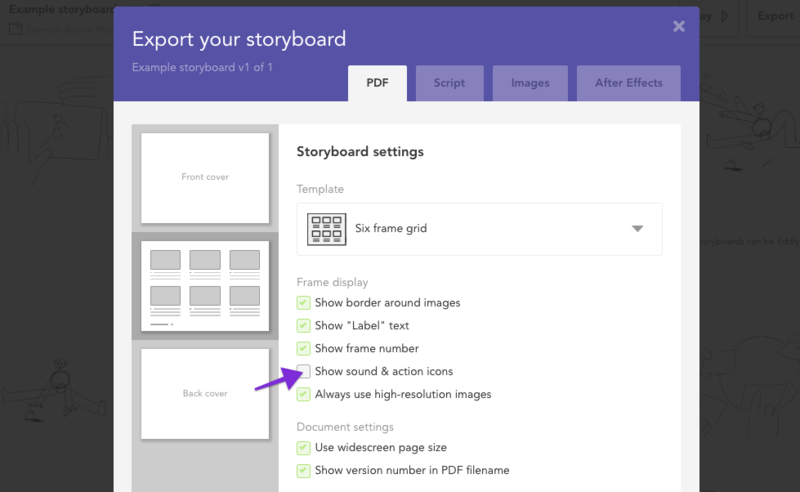 ☝️Note: You can't add sound to your storyboard - instead, this can be done in the Animatic Tool. The speaker icon serves as a label for the voiceover that you would like to add to the scene. If you like, you can remove the sound & action icons from showing on your exported PDFs. To do this, click "Export" on your storyboard to open the PDF exporter page. Under the Frame Display heading, uncheck the "Show sound & action icons" box. These default icons will then be removed (we don't currently allow new icons to be uploaded in their place).